California State Senator Bob Wieckowski: "At @VerdeXchange I announced a new bill, SB 168, to create a chief officer for climate adaptation in CA. 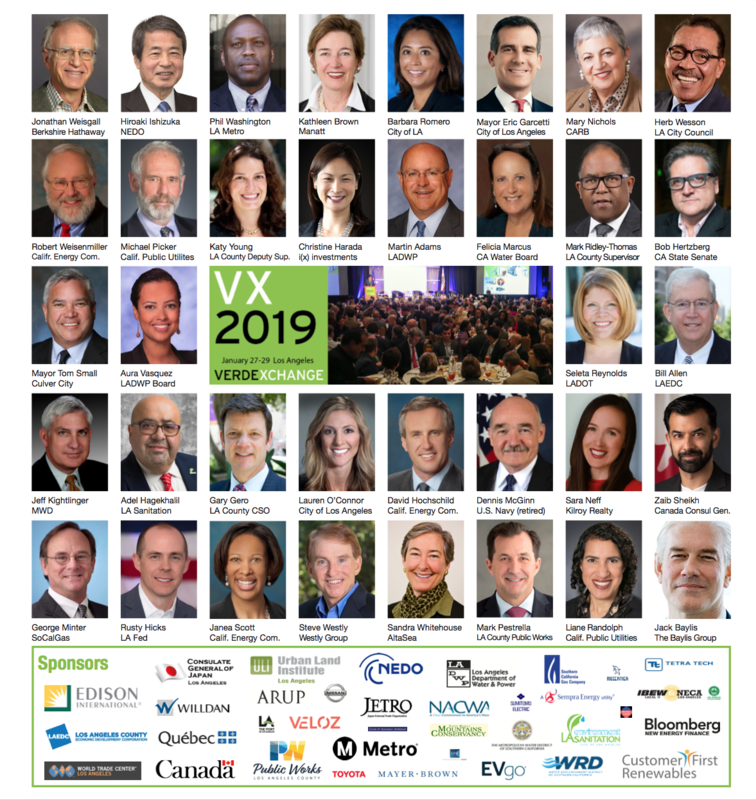 #VX2019"
Pasadena Star News: Well before Gov. Brown signed his executive order calling for carbon neutrality by 2045, experts were puzzling over how to stop greenhouse gas emissions from homes and commercial buildings. Homes and commercial buildings are responsible for about 12 percent of California’s greenhouse gas emissions, and the goal is to make them carbon-neutral. This week, some of those experts will gather at VerdeXchange, a clean technology conference in Los Angeles, to share their solutions. 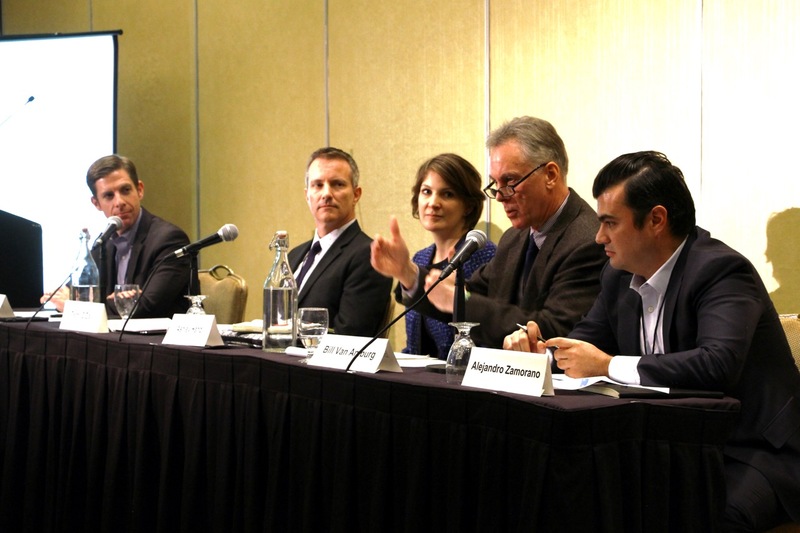 Fox & Hounds: The 12th annual Verdexchange Conference kicked off in Los Angeles this week with a discussion on how the recent election results will boost environmental politics and the green economy in California. But in the tradition of the old Rodney Dangerfield joke that, “I went to a fight the other night and a hockey game broke out,” the panel discussion on elections and climate change took a wayward turn and targeted Proposition 13. Taxes seem to be on the mind of panelists to move the green agenda ahead. Neighborhoods.com: What will the city look like as a result of the 10-year build up to the [2028 Olympics] and how are the city’s leading officials preparing for it? 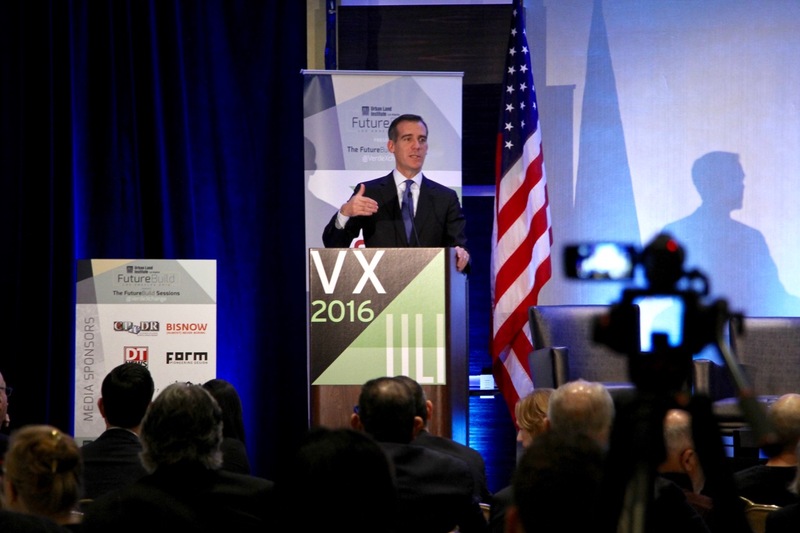 At this year’s FutureBuild conference, which gathered some of the world’s leading innovative changemakers, the focus was on making Los Angeles smarter, cleaner, and more resilient. Neighborhoods.com: Earlier this week at FutureBuild 2018, which featured curated sessions from some of the top thinkers and innovators local and worldwide, Metro CEO Phillip Washington discussed the transit company’s upcoming plans for the station. Neighborhoods.com: Susan Cline, Santa Monica’s public works director, shared the city’s ambitious objective at FutureBuild 2018, which brought together many of the world’s leading changemakers to DTLA. 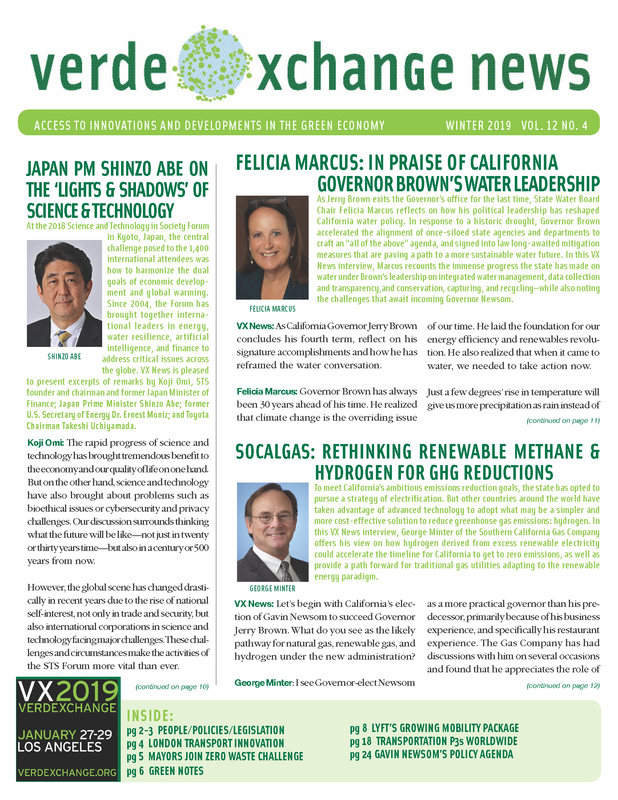 Highlights from VX2018, our 11th California Conference, included bringing together more than 1,000 global and California market-makers to share knowledge to advance renewable energy, innovative water technologies, distributed microgrids, disruptive autonomous vehicles, and resilient green infrastructure. Office of Herb Wesson: "We stopped by this year's VerdExchange to talk with change-makers, from Los Angeles and beyond, on how we can build a greener, more sustainable city. As the opening speaker for the conference’s second day, I welcomed attendees and shared why Los Angeles has a responsibility to lead the rest of the country on cultural, environmental and policy issues. Customer First Renewables: "CFR was thrilled to participate in the VerdeXchange conference earlier this week. Special thanks to David Abel and his team for hosting such an inspiring event, and for helping us share our distinctive value with this extraordinary group of industry leaders and innovators. CFR Board Member and former Assistant Secretary of the U.S.
Blau Journal: Interview with David Abel | Chairman & Managing Director of VerdeXchange during the ULI Future Build VerdeXchange Conference in Downtown Los Angeles. Blau Journal: "Listen to our interview with Sara Neff who is the Senior Vice President, Sustainability at Kilroy Realty. 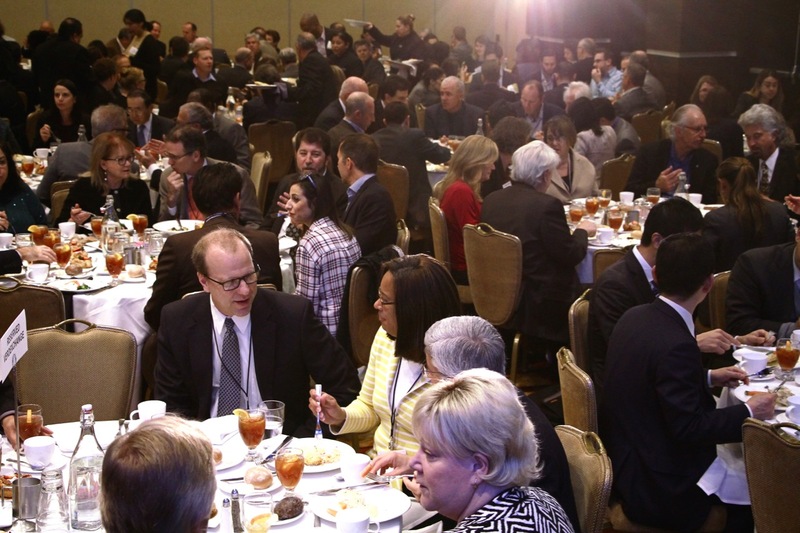 We sat down to chat with Sara at the ULI FutureBuild VerdeExchange Event in Downtown Los Angeles." Los Angeles Downtown News: "The future of transportation, in Downtown Los Angeles and beyond, will get a big airing this week. That’s because ULI Los Angeles and VerdeXchange are hosting the “FutureBuild 2018” event. 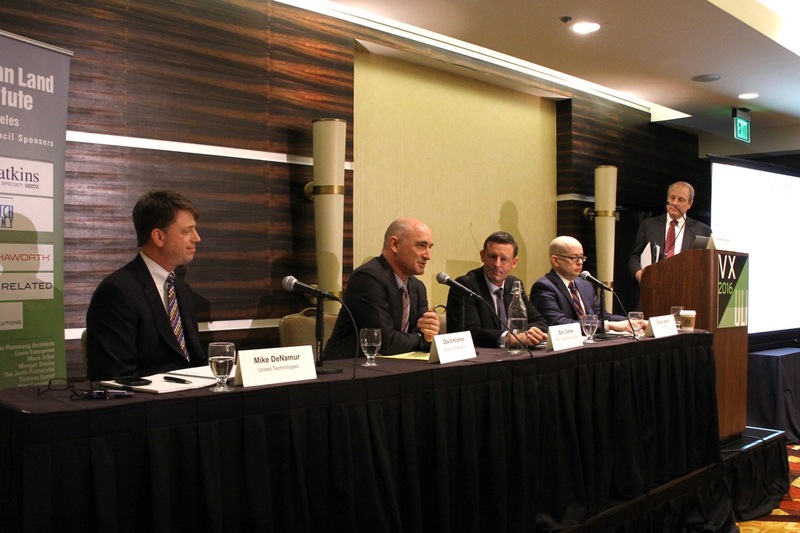 Panel discussions include topics such as “Transit Hubs Face the Future” — Downtown’s Union Station is on the agenda — and “The Robo-Cars Are Coming.” Another discussion centers on Los Angeles’ transit preparations for the 2028 Olympics. Québec Office of the Minister of Energy and Natural Resources: "Le ministre amorcera sa mission à Los Angeles, du 28 au 30 janvier, où il prendra part à VerdeXChange, considéré comme le plus important congrès dans le secteur des technologies vertes et des politiques d'économie durable dans le sud de la Californie. 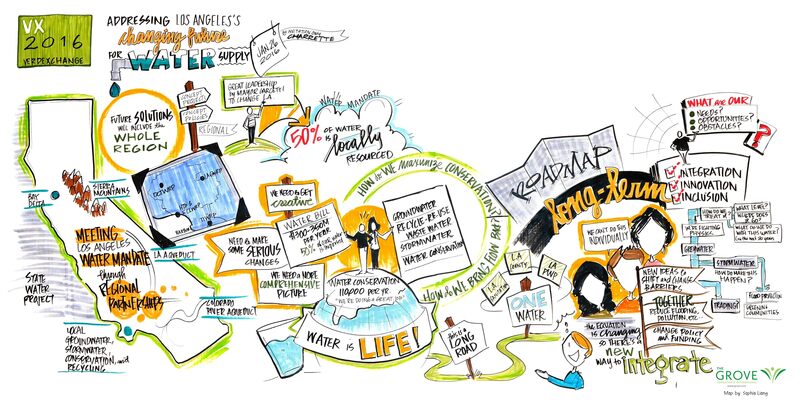 Urbanize LA: "The annual, interactive event spotlights environmental, technology and development innovations for cities to thrive, despite the Federal government’s attempts to undo efforts to reduce climate change and mitigate its effects. Bringing many disciplines together, the event will answer one overriding question: How do you adapt in order to thrive?" Urband Land: “There are a lot of gray areas in existing regulations,” said Sarah Potts Ashton, Uber’s southern California public affairs representative, during ULI Los Angeles’s recent FutureBuild 2017 conference. “The current state regulations were developed in 2012; we’ve seen a lot of changes since then.” ... “As much as autonomy is exciting, by itself it is not likely to solve very many problems,” said Seleta Reynolds, general manager, Los Angeles Department of Transportation, during the FutureBuild conference, which was staged in conjunction with VerdeXchange. 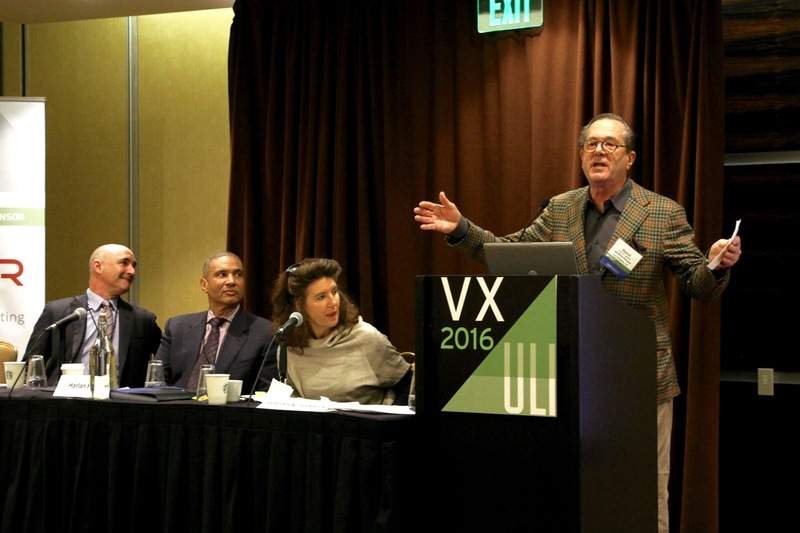 Urban Land Institute: VerdeXchange Chair David Abel and ULI Los Angeles Executive Director Gail Goldberg welcomed the hundreds of attendees, including municipal officials and professionals from all sides of the design and development industries, to a morning of cutting-edge conversations on the best practices and policies impacting the real estate industry in the realms of Sustainability, Resiliency and Creative Disruption. Green Car Reports: "Speaking at the annual VerdeXchange conference in Los Angeles, Mary Nichols, chair of the powerful California Air Resources Board, said the state is now pursuing a goal of 100 percent zero-emission light-duty vehicles ... Nichols' declaration is likely welcome news to electric-car advocates amid uncertainty about the direction of federal environmental policy."